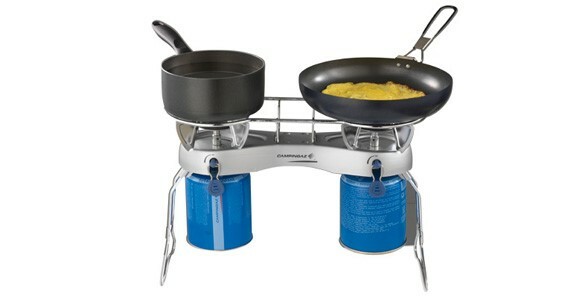 When camping, some kind of camping stove is usually a necessity. It is a highly useful addition to the camping experience. 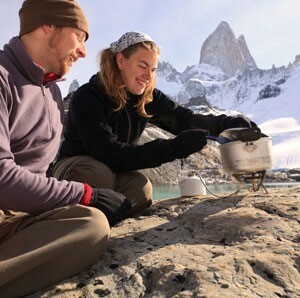 For the caravanner equipped with a fully-featured cooker and grill, a camping stove is still a useful and fun way of staying out of doors to make the most of summer weather. These stoves are generally categorized by fuel type. Kerosene, methyl alcohol, and white gas (also known as camp fuel or naphtha) are the most common liquid fuels, whilst LPG and its variants (butane, isobutane, and propane) are the primary compressed gas fuels. For the beginner or occasional campers, LPG is generally selected as the best choice. 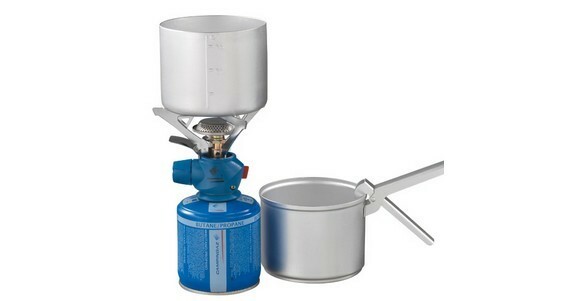 Camping stoves play also an important role for food preparation in remote field working teams outside, remote construction sites, like road and rail works. Camping stoves are also equally important in emergency applicatons. 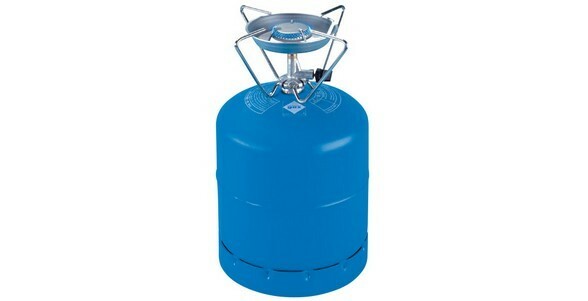 In an LPG camping stove, the gas is held pressurized in a can in a liquid state. When the knob is opened, the gas is forced out due to the pressure difference between the can and the outside air. The most commonly used types of stove for family camping are those that use LPG. 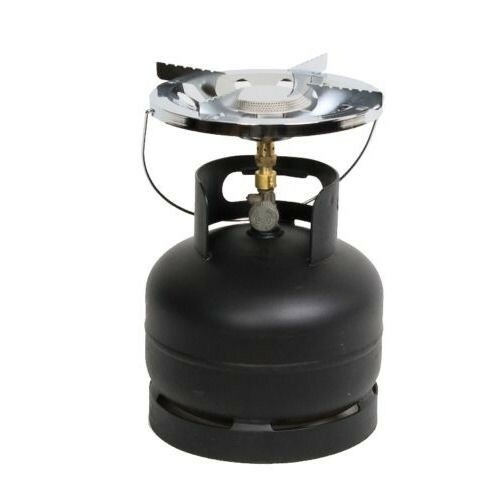 These come in various sizes from small folding stoves that usually operate from a small LPG canister, typically with one single ring, a grill stove, to double ring and grill units, which operate from a larger refillable gas bottle and are more suited to cooking for a family campsite meal. Larger units are used also for professional needs at outside worksites and also in emergency situations to cater for bigger groups. In their different forms as LPG barbecue/grills, they can be very versatile with different pans, plates and attachments to cook all kinds of hearty meals. For lighter weight camping, mild expeditions, cycling or camping from a small hatchback, weight and space is at a premium. 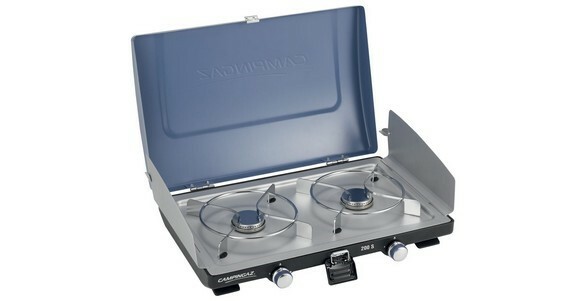 For campers staying at one site where equipment portability after arrival is not an issue, a large gas ring stove operating from self-sealing canisters is a good choice. Easy to use with a large stable ring top capable of supporting either lightweight camping pans or small household pans, attachments are available to convert the cooking surface to a grill top or a heater for useful versatility. These stoves are economical to buy, small and light enough, not to be a burden on car space. Buying two stoves is an affordable way of having two gas rings or for variety. Camp stoves which use LPG can be very compact. 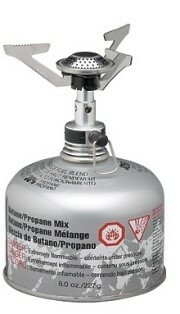 The smallest camp stoves can be attached directly to a disposable propane canister. This is the smallest and classic shape of the LPG camping stove with the burner attached on the top of the fuel can. Though the smaller footprint means that a stable flat surface must be used and extra care taken in use, these kinds of camping stoves have been popular for generations. Easy to use, they require minimal maintenance and can give many years of trouble free service. .
Another common set up, involves the burner and canister being connected using a small pipe. This is done in order to improve pot stability. This simply lowers the center of gravity. It also enables the usage of a wind screen without worrying about getting the can too hot. For the beginner or occasional camper, LPG stoves offer many advantages. They are easy to refuel, easy to light, and easy to maintain. There are also numerous available brands and models. For limited use, they are a very economical choice. The biggest advantage of LPG is its ease of use. It is only required to simply screw the fuel bottle to the stove, open the valve and then ignite the fuel. No assembly, no preheat, no maintenance. For camping, LPG comes packaged in small (usually 1lb), pressurized bottles. As the bottles cannot be refilled, there is no need for funnels and no risk of spillage. LPG stoves do not have to be pumped and require no complicated priming. LPG stoves also offer economical advantages. Due to their simpler design, they are cheaper than comparable liquid fuel stoves. LPG is clean burning with no soot. The temperature is regulated by the easy turn of a valve. Some models even come equipped with a piezoelectric igniter (like those found on barbeques) so there is no risk of burned fingers when lighting. Propane stoves are relatively simple and so need little maintenance. To find a manufacturer, please select a region below.